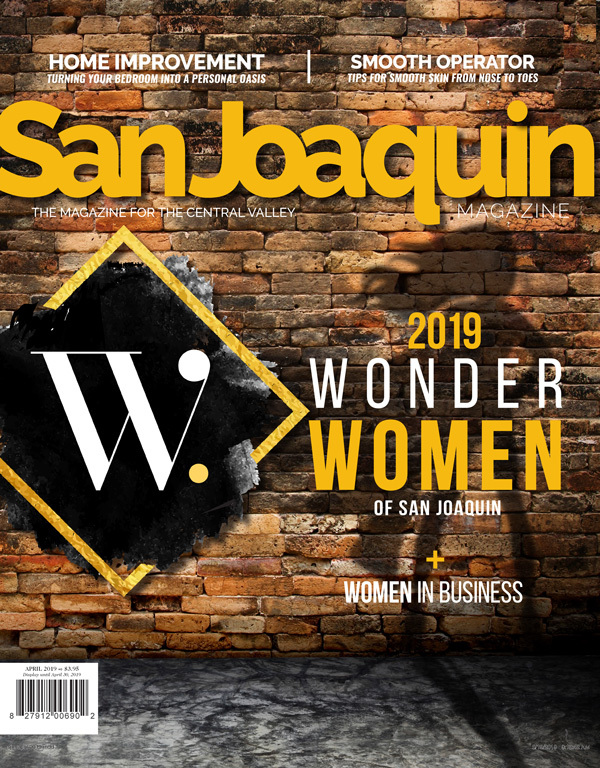 As that hot summer weather finally starts to relinquish its grip upon the Central Valley, it’s time to start enjoying the outdoors again. But, what if you neglected your outdoor digs all summer? Have no fear—it’s easy enough to breathe new life into your deck! Since we all know it’ll be warm well into September, you’ll still have plenty of time to enjoy your spruced-up space! 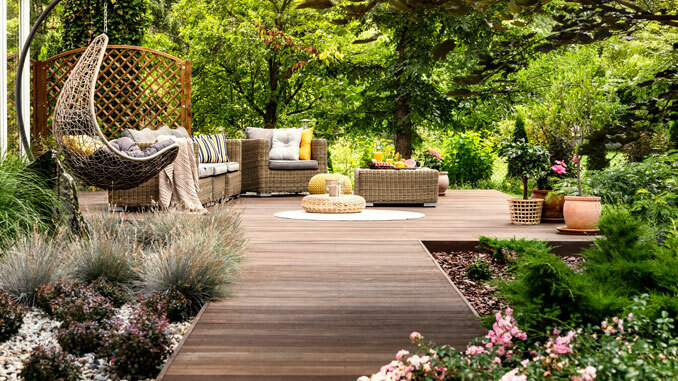 Here are some tips on how to bring your deck from dull to delightful. First thing’s first: Remove everything from your deck and get to sweeping! Follow this up with a pressure washer, and scour away the past year’s grime. The North American Deck and Railing Association recommends pressure washing your deck every year. Just make sure to follow the directions to protect both your deck and yourself! Once your deck is sparkling clean, it’s time to assess whether or not there’s any damage that needs to be repaired. Apply some protective outdoor stain immediately after washing, take care of any nails that might be sticking out, and replace any damaged boards as needed. Safety first! Update your seating situation. Whether your deck is a place where you gather for meals or just a casual spot for relaxation, you’ll need seating. Try some classic Adirondack chairs, which are timeless and long lasting (with proper maintenance and care). Want to really get creative? Instead of chairs around your table, try a long bench instead! Don’t forget colorful cushions to make it both stylish and comfortable. Just make sure that any fabric you choose is weatherproof. Add a rug. By laying down a rug, your outdoor dining area will stand out in style and protect your deck from any damage that might be caused by wooden furniture or falling food. Try a recycled plastic mat or rug, which won’t retain moisture and will prevent mildew from forming. Define your space. Adding grid trellises to each corner of your deck can make you feel like you have a luxurious outdoor room. If you have railings, you can attach a lattice to the top and gain some extra privacy. Both options are also a great way to incorporate some greenery into your space—plant vines around your deck and let them wind their way up into the woodwork. Get some shade. Pergolas and retractable covers are heavy duty options for blocking out the harsh sun. But even an umbrella will do, and that pop of color will add some flair. If you’d like to add a touch of elegance, try some flowing curtains. Night lights. Install lighting to extend the time you get to spend on your deck every night. Hanging lanterns or string lights are lovely ways to both illuminate your space and add some ambiance. If you have steps leading away from your deck, don’t forget to add lights there, too. LED lights are a smart option, but if your steps sit in a spot that gets quite a bit of sun, consider solar energy lights. Add or update railings. Railings are an important safety feature that are required for decks higher than 30 inches, but you can also add them to lower decks just for the sake of decoration (If you’re adding a railing, check local building ordinances and regulations before you start building). Since this is a feature that can be both practical and stylish, you have plenty of options! Choose a classic material like wood, or if you’d like a more modern look, try metal. You can also get creative and make a rope railing, or even turn the railing into a bar top. Pair the bar top with some stools and you’ll have the perfect casual dining space. Decorate. In addition to lights, you can try accent pieces like statues, a vintage sign, or hanging plants. Just choose a theme that suits you best and start looking for pieces from there! Whether you want a relaxing retreat in neutral colors, or an eye-catching party spot, the options for customizing this space are limitless!